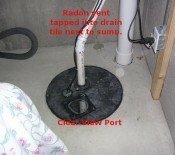 Radon install easy with excellent results! A friend of mine called me one day and told me he was picking up some radon tests and wanted to know if I was interested in testing my basement. I said sure so he picked me up a couple tests. When I got the results I was surprised to see that my level was over 10 pc/l. I knew I needed to take care of it as soon as possible. 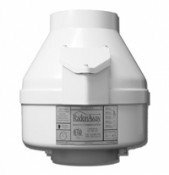 I did some searching on the internet and came across indoor-air-health-advisor.com. I was not sure what I needed so I called and spoke with Val. Val was very helpful and told me exactly what I would need. I placed the order and my equipment arrived in a couple days. I was fortunate because the builder put in the PVC pipe and just had not added the fan. I contacted the builder and inquired as to what he had done. He told me stuck the pipe in the dirt. I knew this was not the way it was suppose to be so I cut the pipe and pulled it out of the basement floor. I then dug out a hole approximately the size of a five gallon bucket and replaced the pipe. I installed the fan in the attic and retested a day later and it was already .5 pCi/L. Wow! It was a blessing to have my friend think of me and a blessing to have Val to guide me to what I needed to resolve the issue. Thanks for the information you provided me Val!